May 4, 2015 By Clive Tonge There have been 73 pageviews. – If you have ever doubted an animal’s ability to sense urgency and provide live-saving protection, the 2015 Purina Animal Hall of Fame will make you a believer. This morning, Purina honoured tremendous acts of animal heroism and devotion at the 47th Annual Purina Animal Hall of Fame, hosted at Purina PawsWay, its permanent home. This year’s inductees, comprised of three loyal canine pets and one service dog, were recognized for the extraordinary actions they took to protect a human life – demonstrating that animals can be counted on to come to the rescue in dangerous and life-threatening situations when people are not available to help. 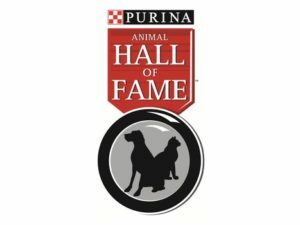 Since its inception in 1968, the Purina Animal Hall of Fame has honoured pets and service animals for their remarkable feats of bravery, from alerting humans to life-threatening medical emergencies, to saving them from extreme conditions. In the last 47 years, 168 animals have been inducted, including 140 dogs, 27 cats – and even a horse. The 2015 Inductees have joined these ranks. Through their keen intuition and sense of duty, they have shown they understand and are compelled to protect us when we need them the most.